Killer Characters: A Christmas Letter from Busman's Harbor! 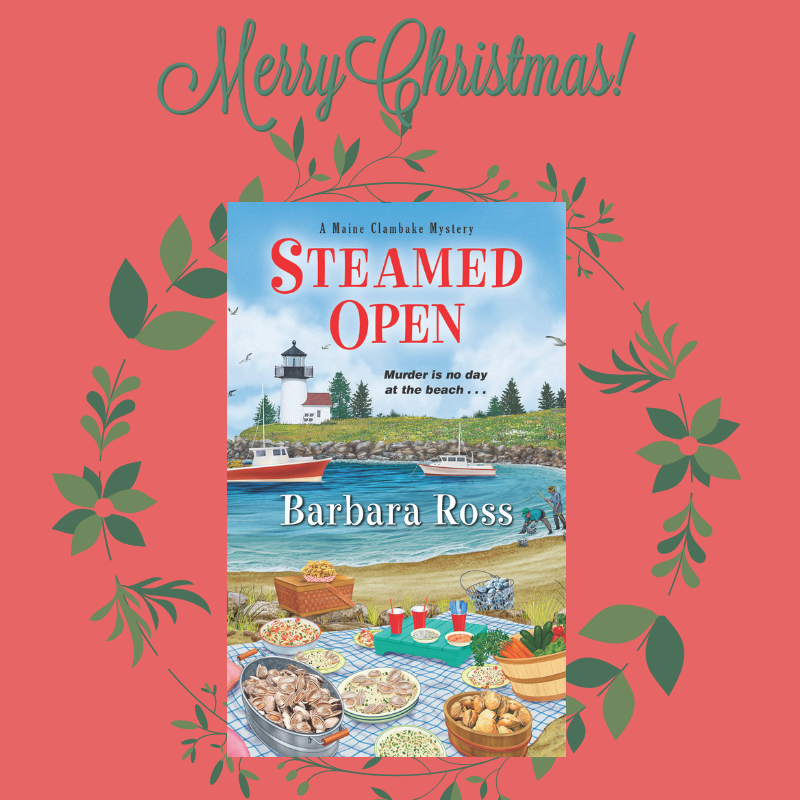 A Christmas Letter from Busman's Harbor! I had thought this year might be more settled than the last one, when we almost lost the Snowden Family Clambake business and my house in town to the bank. But, no! It’s been all drama, drama, drama around here. In February, a mysterious package arrived in the mail. It was an old family heirloom, a necklace with a black diamond at its center that had been lost since the 1930s. Figuring out who had sent it led my daughter Julia to an entire side of the family—two sides, in fact—that I never knew existed. More new family turned up in February as well, but this time he was expected. My daughter Livvie gave birth to a son, Jack, named for my late husband. He joins his sister Page and he’s an active kid. Sonny and Livvie are going to have their hands full! In June, a mega-yacht dropped anchor in Busman’s Harbor. It turned out the owner’s fiancée was an old prep school “friend” of Julia’s. When the billionaire yacht owner was murdered in the most bizarre way, Julia’s friend Wyatt turned to her for help. Fortunately, Wyatt was cleared and she and Julia have been able to leave whatever was in the past in the past. In August, we lost our old friend Heloise “Lou” Herrickson. She was over a hundred, but was such a force of nature I thought somehow she would never die. Unfortunately, her grandnephew and heir was an odious person who immediately blocked beach access for the town. It nearly caused a riot and he got himself killed in the process. Julia was among the last people to see him alive. 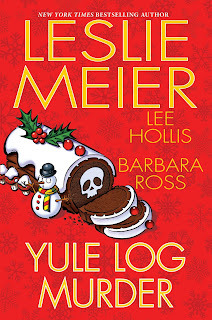 Luckily, she was able to help the police solve several mysteries surrounding Lou’s legacy. I continue to work at Linens and Pantries, the big box store in Topsham. This year I was promoted to assistant manager. I took the summer off to work in the gift shop at our clambake company, as I did for so many years before Jack died. It is good to be back on the island. Plans are afoot to fix up the old mansion so Julia and I can live out there all summer like the old days when my kids were growing up. I must go. Julia is here at my house trying to bake a Bûche de Noël. It’s her third attempt and her failures are getting expensive. She says she is doing it to impress her boyfriend’s family who are of French-Canadian descent, but he says, “Julia, when I was growing up the only rolled cake we had in the house was wrapped in cellophane and baked by Drakes.” I have tried to persuade her to ask our next-door neighbor Odile St. Onge for help. 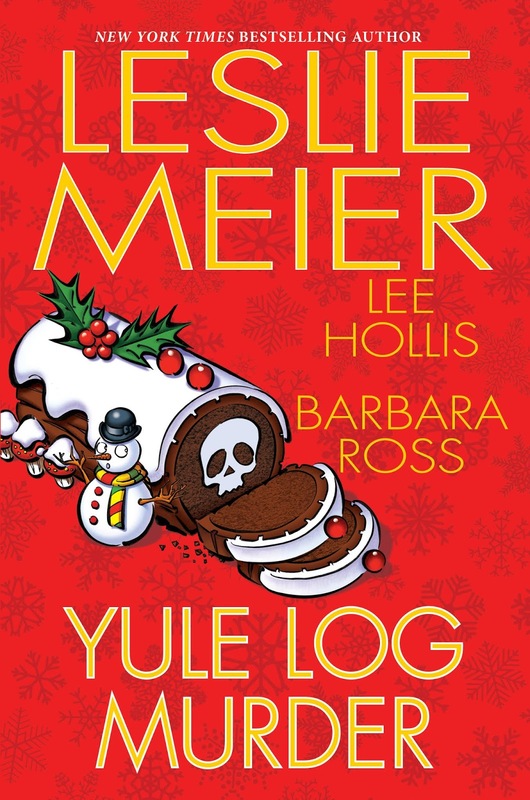 Mrs. St. Onge used to make the most amazing yule log cakes, but so far Julia is resisting. We’ll see what comes of this. Here’s wishing you and yours a very Merry Christmas and a Happy New Year. We miss you all more than we can say. 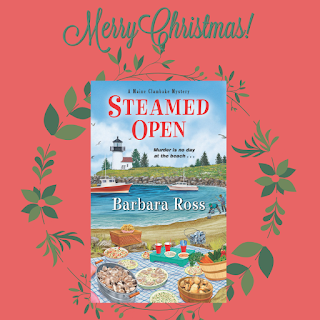 Steamed Open is the 7th in Barbara Ross's Maine Clambake Mystery Series. This sounds really good. Adding to my list. Sounds like a good read. Adding to my tbr.